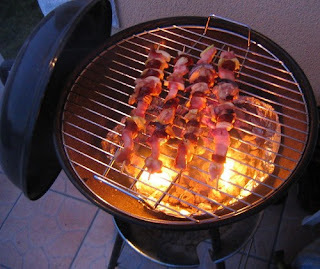 I skewered some breast of chickens, onions, green peppers, bacon and Hungarian sharp sausages. It was very tasty. You all must try it one day!